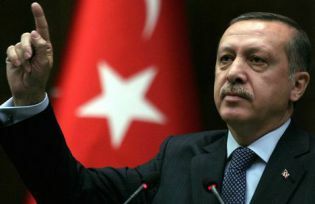 Turkey’s president Recep Tayyıp Erdoğan who theoretically is meant to maintain an impartial and representative role, has been demanding since late January 2015 that in the new Turkish parliament (total seats: 550) the largest party should have at least 400 MPs to be able to change the constitution without involving the opposition. He didn’t name a party, but it is obvious that he had his AKP in mind, which has been governing with an absolute majority since 2002. However, for constitutional changes a 3/5 majority is necessary, which then requires a referendum. Even better would be a 2/3 majority, then the changes come into force automatically. Erdoğan had been trying to change the constitution for years and introduce a presidential system, because he is not satisfied with the current role of the Turkish president. Erdoğan has underlined on several occasions that he feels that even the US-president is too weak, and that he had a Latin American presidential type in mind where the president can also fire ministers or dissolve parliament. That is why for Erdoğan the upcoming elections on 7 June are personally so important, but even more so for the country itself. Will the country irrevocably become Erdoğan’s private domain, where his precarious authoritarian tendencies of recent years would continue, or will the voters put a spoke in his wheel and sweep away not only his desired presidential system, but also projects like a parallel channel to the Bosphorus. Even if around 30 parties intend to participate in the elections, the question of whether or not the AKP will have a comfortable majority or none at all will be decided by the fourth biggest party in Turkey: the HDP (The Peoples’ Democratic Party), the representative body of the Kurdish political movement with roots in the illegal PKK led by Abdullah Öcalan who has been serving a life sentence on an island in the Marmara Sea since 1999. Never has the Kurdish party, which has been in existence since 1990 entered parliament, the latest experience was in 2002 when the HDP’s predecessor DEHAP tried and failed with a bit more than 6 percent. In 2007 and 2011 the party applied a trick and didn’t participate as a party, but with formally independent candidates who then formed a parliamentary group after the elections. Currently the HDP has 29 MPs and some independents close to it. But the HDP declared that in June it will participate as a party. Therefore it has to gain more than 10 percent nationwide, how many constituencies the party wins is unimportant. The HDP chairman Selahattin Demirtaş reached 9.7 percent in the presidential elections in August 2014. This result raised hopes of being successful this time. In contrast to previous elections the party has to appear less Kurdish and is in need of a peaceful campaign period to be able to attract more non-Kurdish votes. Violent clashes between the PKK and the Turkish Armed Forces or pictures of street fights between Kurdish youth and the police would alienate non-Kurds, the core voters, would most likely not be more than 7 percent. The election arithmetic shows in particular two scenarios. 1) The HDP is below 10 percent, the AKP will have above 40%, the two biggest opposition parties CHP and MHP approximately 25 and 15 percent. With the votes from the Kurdish provinces going almost exclusively to the AKP, it will have a comfortable majority, probably well below 400, but more than now (312). 2) The HDP gains more than 10% and sends at least 50 MPs to Ankara. Then the AKP would fall below the 275 MPs, which are necessary for an absolute majority. In the first scenario the so-called “peace process” between the state and the PKK were dead, because there would not be any parliamentary representation of the Kurdish movement and the Kurdish constituencies would be almost exclusively represented by the AKP. Civil war-like scenarios in Kurdish cities and neighborhoods wouldn’t be a surprise, the frustration among the Kurdish voters would be immense. However, the AKP and Erdoğan could go ahead with their projects, change the constitution and strangulate the political and societal opposition ever more. In the second scenario the AKP would lose its absolute majority, but the CHP and MHP wouldn’t have one either. Because of the deepening polarization of the past years, which has led to deep enmities, harsh accusations and personal attacks, an AKP-CHP coalition is unthinkable, an AKP-MHP would be more possible but still difficult, and an AKP-HDP coalition would be political suicide for the latter. Most likely would be a blocked parliament, maybe just an interlude, in which the MPs agree to lower the 10 percent threshold to around 5 percent, followed by early elections. Then not only four, but five (Saadet) or even more parties would enter parliament. In a five or six party parliament, coalitions would again be possible with or without the AKP, where inner-party confrontations would increase. What this means for the Kurdish issue, foreign policy or Turkey-EU relations is difficult to guess, but big improvements can hardly be expected. However, most likely the presidential system would be off the table together with some projects, which president Erdoğan himself has called “crazy” such as a channel in parallel to the Bosphorus. In this case the total state control of the AKP would also end, the authoritarian stranglehold on the media, the universities, holdings and civil society would ease, even if a real democratization would take several years to normalize the poisoned political landscape. For Erdoğan this would be the worst case scenario. He would stay at least until 2019, but then only as foreseen in the constitution. He couldn’t control the government directly as he is currently doing with a tame prime minister and exclusively AKP ministers. Turkey has the chance to become a little bit more normal and less absurd.